Looking for the perfect gift this Father's Day? Well your just in time as I've collaborated with Ralph Lauren to create a Father's Day gift list. You will find a collection of perfect gifts that will add a stylish number to the wardrobe of your stylish and fashionable dad. From a formal shirt to a casual commuter bag, Ralph Lauren is a vision of effortless style. So whether your dad is dressing for a meeting or going for dinner with the family, Ralph Lauren is the perfect fit for any occasion. 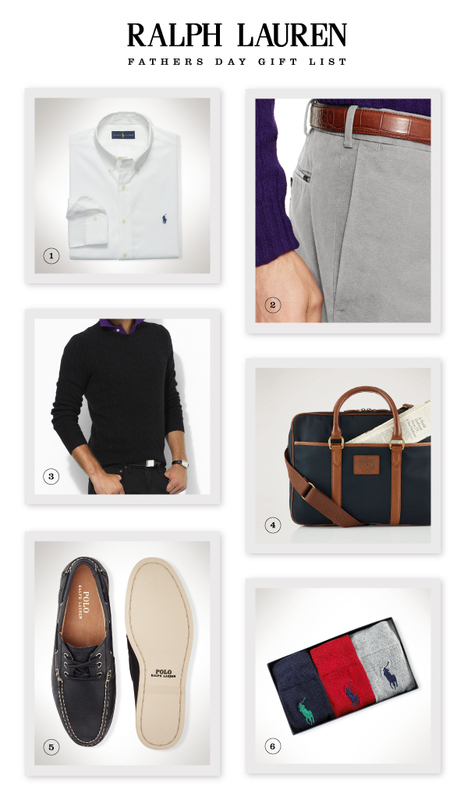 Take a look at my lookbook and begin building your list with gifts and ideas that he will love. Links to each product can be found below image.